Supercar owners illegally removing their number plates, because they spoil their sleek image - CarReg have the solution! Some drivers have been deliberately breaking the law by removing the number plates from their expensive supercars, so as not to spoil their sporty look! Many people have regularly spotted these rogue supercars, including Ferraris and Lamborghinis, around exclusive areas of London. The offenders have been seen brazenly parading their £200,000+ high performance cars through the streets of Westminster, Mayfair and Chelsea. One Lamborghini Huracan with no front plate was even spotted parked half on double yellow lines and half across the junction. One witness questioned what the police are doing to stop this and commented that it appears to be one rule for us and one rule for these superrich drivers. A National Police Chief’s Council spokeswoman confirmed that if drivers are caught without a number plate on both the front and back, they will be pulled over and the appropriate action will be taken. 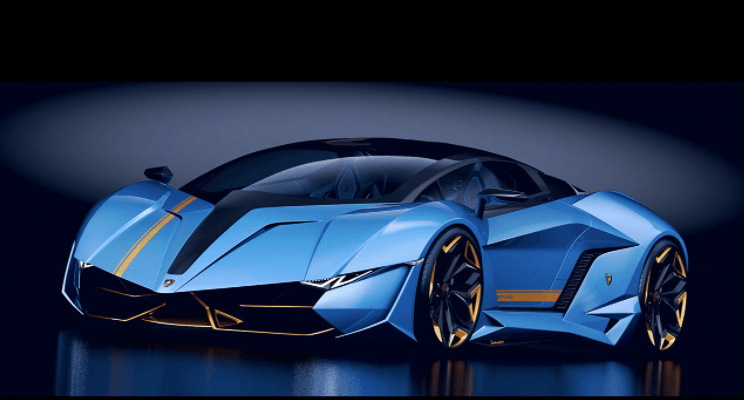 CarReg believe that there is a solution for these supercar drivers that will allow them to keep up their image but also keep them on the right side of the law...and that is to have their own personalised number plate. Something that means something to them, or simply looks cool and eyecatching. 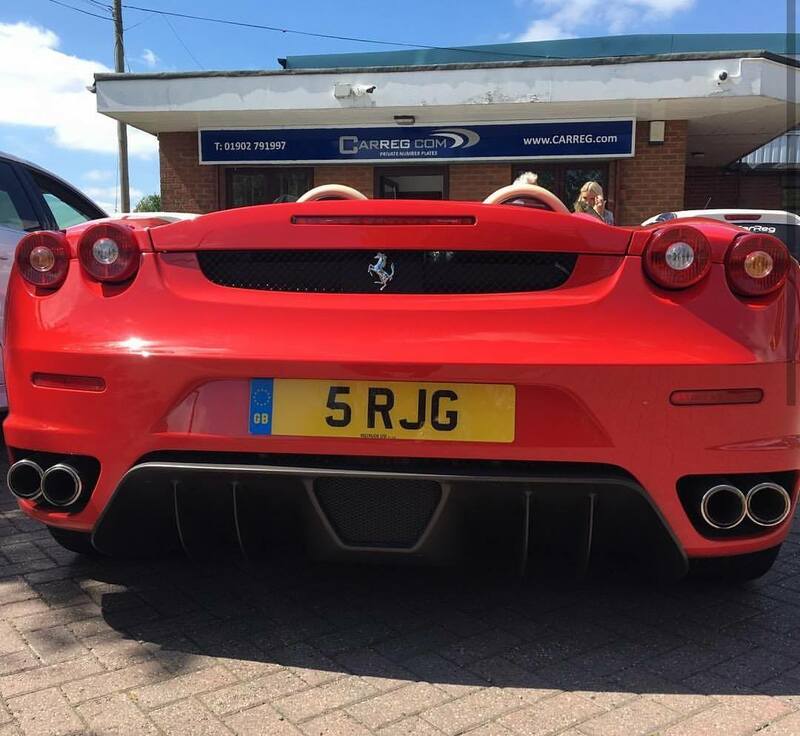 We have several customers who display their names, initials or even something fun on their supercars. 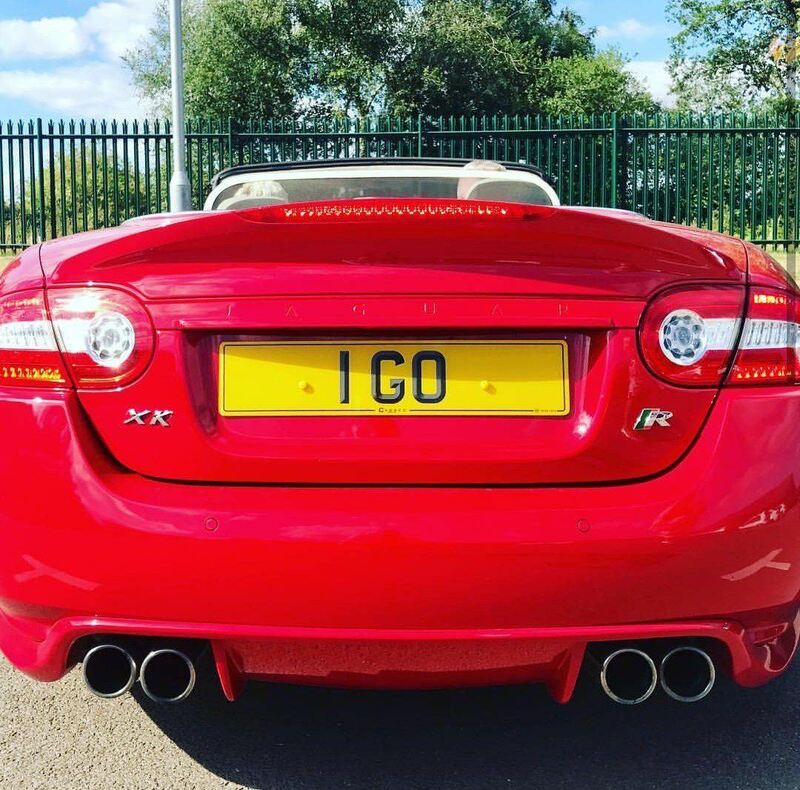 1 GO displayed on a Jaguar XKR. View our ‘Super Plates’ and see which will compliment your Supercar!